Eeek, it’s the end of May and I’m falling desperately behind in my 13 from ’13 – better find some quick and practical projects to get me back up to speed then!! But this is a cute project I made earlier in the year for my 12 year old nephew. Project brief: something that could easily (and cheaply) be posted overseas, and that it was practical. Well, I forgot that the northern hemisphere is warm at this time of the year – not freezing like Central Victoria – but I hope it’ll see lots of wear come the next winter. 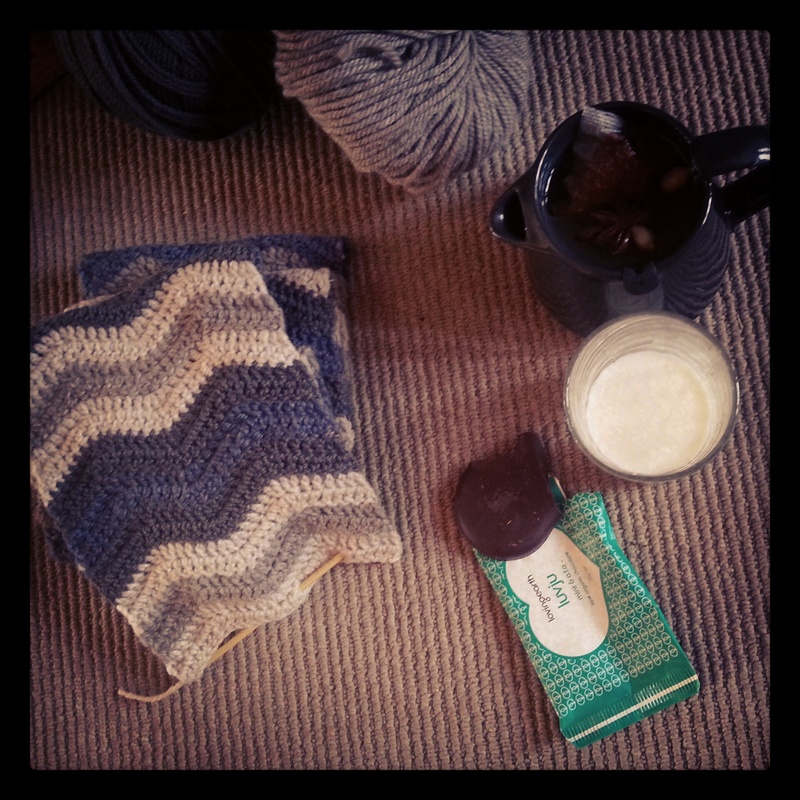 Yep my happy place: crochet, chai tea and chocolate. Pattern: taken from Lucy at Attic 24 – her simple to follow tutorial on making a ripple blanket got me started and hooked (pun intended). Except I knew I needed something quick and easy to keep my interest and to make sure I actually finished it! 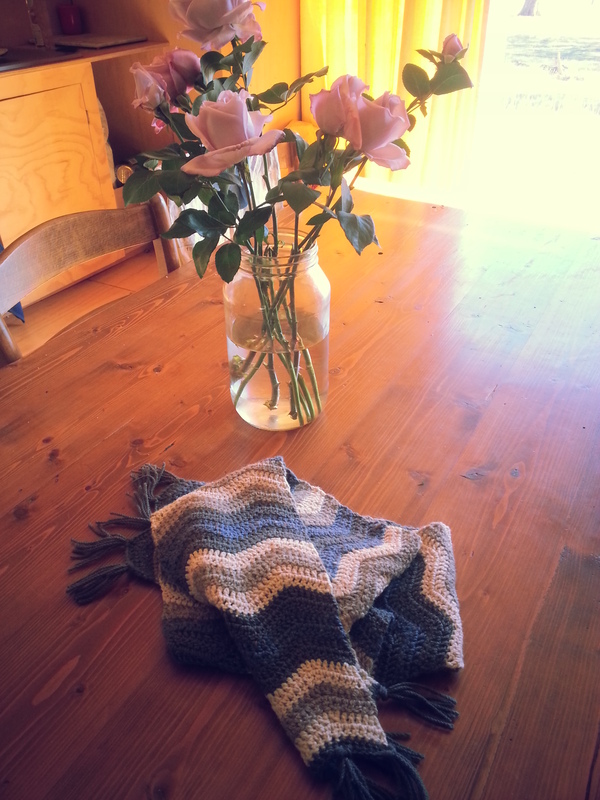 Enter scarf…two repetitions of the “ripple”, two rows per colour, four beautiful “boy” colours. Repeated until the scarf was long enough. Tassels to add the finishing touches. 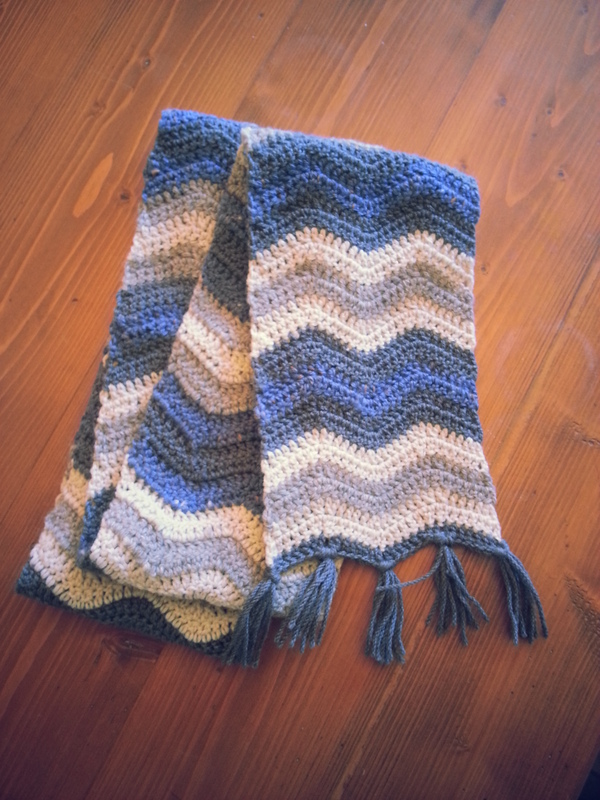 I liked it so much it was hard to part with this scarf…just might have to whip another one up for myself soon! « When your body speaks, listen well.